Looking to mix things up in the kitchen this Summer? 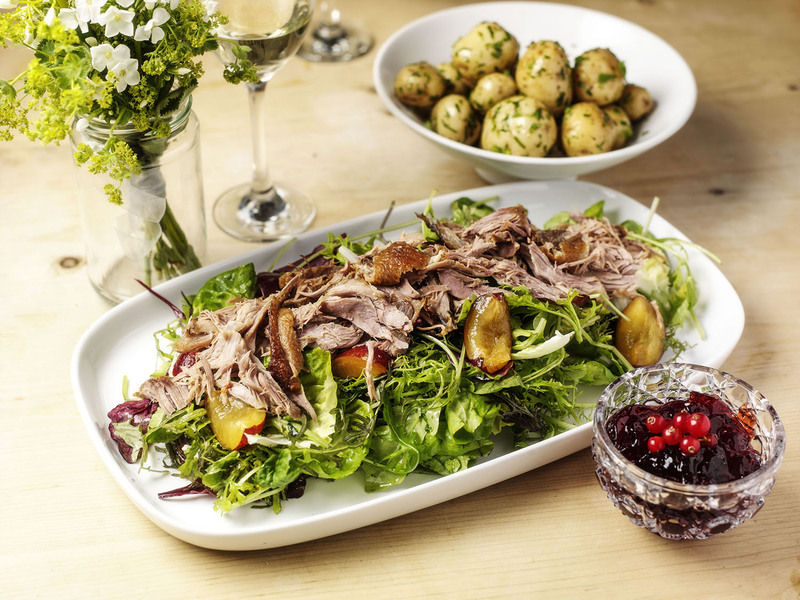 Sometimes all you need in order to overhaul your entire diet is one small change, and this season you need look no further than duck. Gressingham Duck, rearers of a unique breed of duck of the same name, have created numerous mouth-watering recipes centered around this often overlooked meat. Follow some of the following guides to enjoy fresh, healthy and exciting meals. Gressingham Duck legs are delicious with a variety of accompaniments, in this case a tasty sweet chilli sauce. Season the duck legs with salt and pepper on both sides. Then mix the cumin and paprika together in a bowl and rub in to the legs. Place the duck legs on a wire rack on a baking tray and put in them in the oven. Cook for approx 1 hour and 10 minutes and take out of the oven. Pour the chilli sauce over the 2 legs and return to the oven on a lower temperature of 160oC for 20 minutes. Take the duck legs out of the oven and allow to cool for a short period of time. Shred the duck with 2 forks and discard the bones. 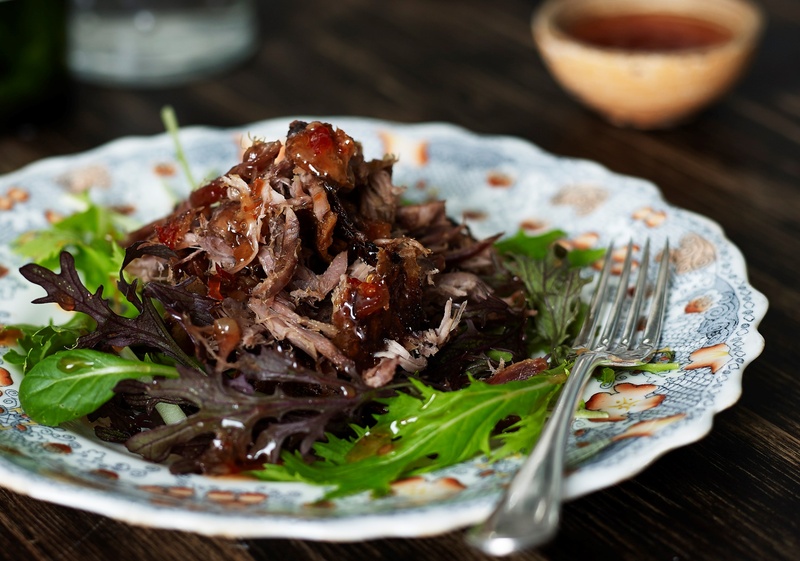 Divide the mixed leaves onto 2 plates and top with the shredded duck. Garnish with spring onions and serve with extra sweet chilli sauce. 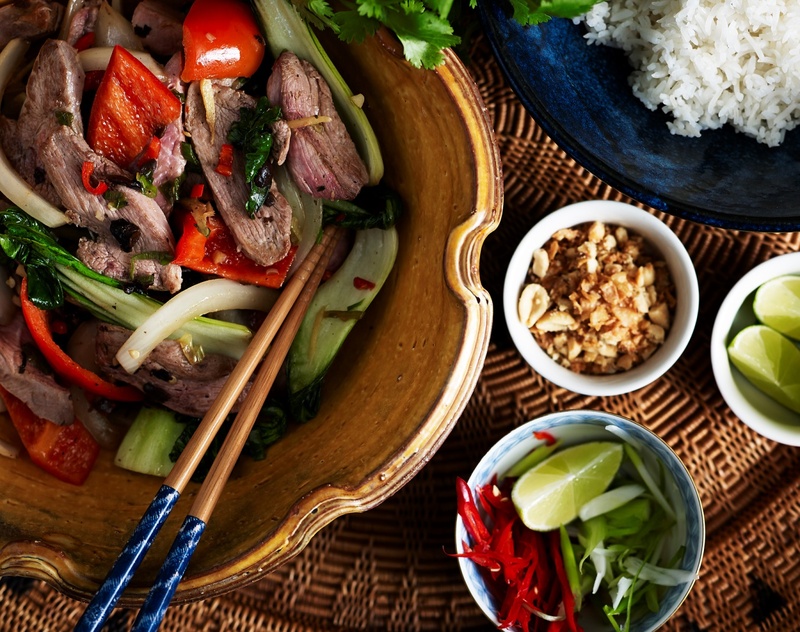 Gressingham Duck is delicious in a variety of recipes including this tasty duck stir fry. For those who are watching the calories a skinless duck breast has fewer calories and under half the fat of a skinless chicken fillet ­(a skinless duck fillet has 92kcal and 1.3g of fat per 100g compared to a skinless chicken fillet that has 120kcal and 3.2g of fat per 100g). Add in the duck and quickly stir fry for approximately 1 minute. If the duck appears to be drying out too quickly add a splash of water and continue to stir. After 1 minute take the wok off the heat and quickly remove the duck from the wok and set aside in a warm place. Afterwards, add the light soy and spinach/ pak choy and stir fry for one more minute.